Stiltskin... Yes? No? Maybe? In fact, it's a bit confusing to find out, who or what or when Stiltskin are and what's up, when ... in a nutshell, it's all very simple. It is Ray Wilson's band, today even more than in the early days of songs like Inside and Rest In Peace. 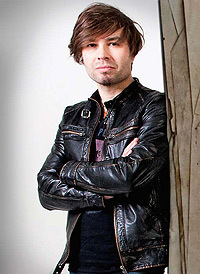 The last album, Unfulfillment, was published with the label Ray Wilson & Stiltskin, although the songs sounded more like a standard Ray Wilson album, compared to the rock of The Mind's Eye or She. Now we have a new album (release date: 19th April 2013) - and not even two years after Unfulfillment Ray proves especially one thing with Chasing Rainbows: He is full of beans and he has great ideas. He has so much untapped potential so this album shows his creativity perfectly. 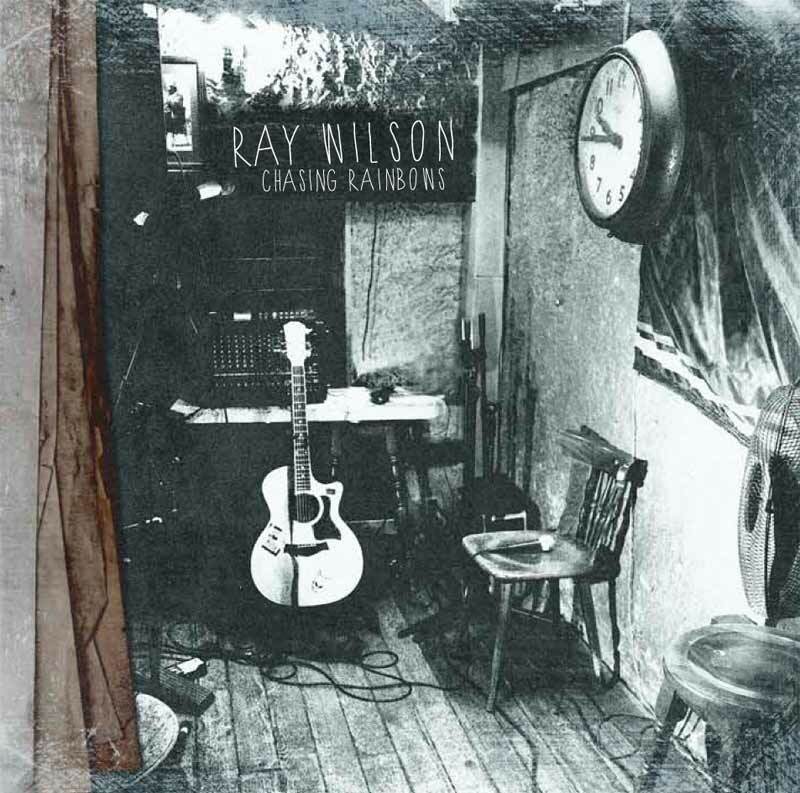 Chasing Rainbows is pure Ray Wilson although almost everybody from Stiltskin is involved. Just like the albums before Peter Hoff has been producing and he also co-wrote all songs with Ray (with one exception: Whatever Happened was written by Ray only). 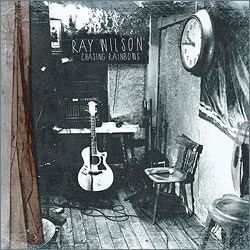 This may also be the answer to the question of why this is a pure Ray Wilson album and not Ray Wilson & Stiltskin: Uwe Metzler has been an integral part of the production of both, She and Unfulfillment, but he's not involved on Chasing Rainbows - neither as a songwriter, nor as a musician. Another new thing: the album was - as usual - produced by Ray and Peter Hoff, but the songs were recorded by Henne Müller and Philipp Lorenz. Both have a band on their own, a newcomer band that will most likely enjoy a big career ahead: Abby. In August 2012, we had the chance to meet Ray and Abby in their studio during the recordings (see news item here). More about Abby is available on their official website and their Facebook-Site. The final album mix was then done by Yogi Lang. Yogi has also a band on his own, that has quite a big name in the prog-business: RPWL. A few years back, Ray was a guest vocalist on their album World Through My Eyes and sang the song Roses. 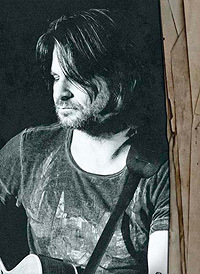 And just recently Ray has performed that song live with RPWL in Katowice (February 2013), when both, RPWL and Ray have been recording shows for a DVD release. There weren't many rumours about the album, but Ray himself has spread some news about the production every now and then. The acoustic track She's A Queen has been performed live in a more reduced version sometimes. Besides that, Ray told us his new album would sound more organic and may have a Tom-Petty-feel to it. As we all know, Ray's ideas tend to expand rapidly so fans could be really curious what might be the end result here. Let's take a closer look at the title of the new album - this is quite interesting in relationship to its predecessor(s). Unfulfillment was more than anything else a statement, that you are never complete, always searching, all the time curious. Chasing Rainbows matches perfectly with that philosophy. 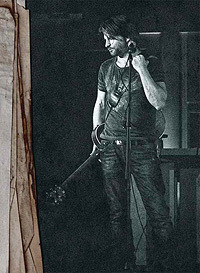 Looking at the cover image, it shows one of these strange pub-corners where musicians play, with just a chair, a microphone and a guitar. Ray Wilson is not there, he may be on his journey, to find new interesting ideas or he might be chasing rainbows somewhere. The phrase Chasing Rainbows is taken from one of the songs on the album - funny enough, it's a song called Follow The Lie. Ray sings: "I've been on the road so long ... keeping all the hopes alive, before it's too late". It's more or less a love-song, at least lyric-wise, but it fits. Ray prefers chasing rainbows, instead of just relaxing in the corner and playing his guitar. He once told us in an interview that sitting in the corner and playing his guitar is his natural position. How things have changed. That might be brave at times and not always logical, but it is interesting. 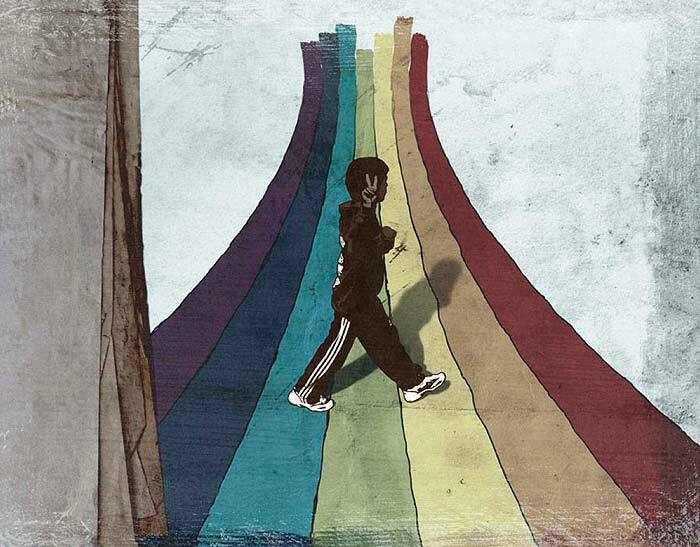 From the musical point of view, Chasing Rainbows is less chasing, but more a vision. It is interesting to see how Ray has constantly developed his sound. His charismatic voice remains the most important part (it must be like that! ), but his sound is the frame, some kind of packaging and this time is looks pretty damn good and interesting. BACKGROUND: When Ray started his solo career in 2003, Change was a real contrast in comparison with Genesis' Calling All Stations or Millionairhead from his other band Cut_. It was more of an unplugged album with quite a few decent pop songs, some of them had really strong melodies. The production itself was very reduced and that was a conscious decision Ray had to make at that time. The successor The Next Best Thing was far less convincing, especially because Ray did not know how to arrange and produce stuff like Magic Train, the rockier Pumpkinhead or even a decent ballad like Ever The Reason. Two years later, Ray admitted in one of our interviews that this album showed him his limitations as a producer. He decided to seek help and eventually met Peter Hoff and Uwe Metzler, and with the addition of songwriter Scott Spence he decided to get ready to rumble again - a pure rock album was to come! That's how She became probably the most important record for Ray so far. It was a top-class production, a straight forward-record that simply rocks you! Besides that, the songwriting has never been better and as a footnote, Ray bought the rights for the old band name and Stiltskin logo. After She, Ray published a more Change-like album called Propaganda Man and you could hear how his production skills have improved, although he didn't get it right with the title track that soon became a stage favorite. Today we know that Propaganda Man was his "Face Value" and so it seems only logical that Ray decided to express his melancholy without the extroverted approach of a Stiltskin record. 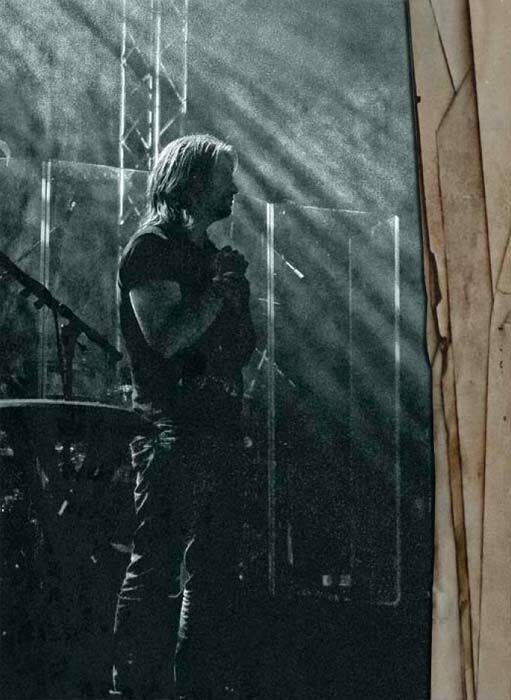 Soon afterwards, Ray decided to define Stiltskin as band and not as a production-project. For She, Ray had used all sorts of different musicians, a bit like "who's available", so there were quite a few guest musicians a normal band wouldn't have. For Unfulfillment, he decided not to use Nir Z on drums as he wasn't available physically anyway. Instead, Ray took his live band that has been playing with him for the last couple of years. Peter Hoff and Uwe Metzler were again involved in the writing and production process, but all in all Unfulfillment became a "lighter" album than She. A reason for that may be the introduction of string arrangements on ALL tracks. Ray has some flirts with the prog genre also, but Unfulfillment became a Poprock-record, and real Stiltskin-moments were hard to find. Nevertheless, the album was well produced and benefited from the new string arrangements, although some fans thought the album lacks some pressure on the bass lines. All in all Ray's career really shows a marked improvement - he seeks help where he found weakness and introduces new ideas such as string-arrangements, and gets the right people in to do that properly. The cover itself is a surprise on its own. 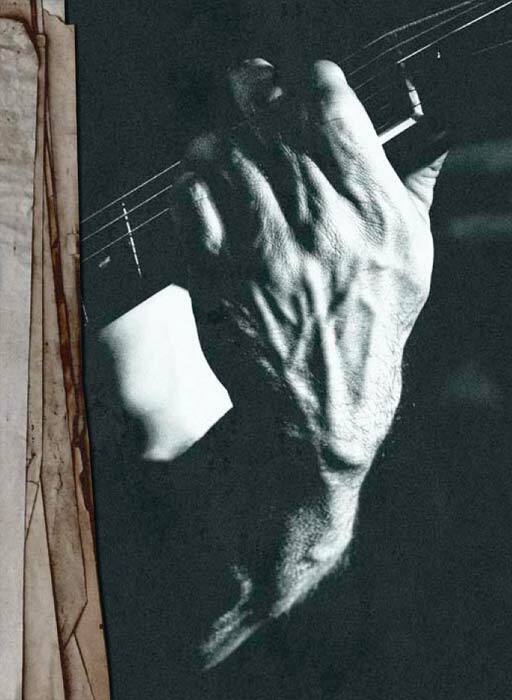 Among fans, another cover was circulating, and it is in some ways still part of the complete package, but the cover itself shows no rainbow, but (see picture, you can click on the images to enlarge them) a dark corner somewhere in a pub, a guitar, a stool - quite dark, little light, very little colour. Somehow, that suits the album title as we have said before. Ray is not there, he is busy with new ideas, chasing rainbows somewhere. A perfect match. The more you think about it, the less it would have made sense to include a rainbow on the cover image. In that case there would not be a need to chase it. A little strange is the new writing design, it looks like some sort of unfinished "demo", same with the list of songs on the back of the album. But let's stick to the cover ... yes, THAT cover! Why does that image look so familiar? The reason is a s simple as welcome. The photo was taken in the Irish Pub The Wild Geese in 2007, during the memorable Genesis Fanmeeting in Braunschweig, hosted by the German Genesis Fanclub it. Ray did a solo acoustic show there. Taking a closer look at the album artwork, there is another aspect that's quite interesting: While the design itself is - as usual - by Thomas Ewerhard, all photos have been contributed by the same photographer - and the guy is called Christian Baltrusch, who is on the one hand also a Ray Wilson fan, but also one of the usual suspects on our website and a German Genesis Fanclub member for years. It's nice to see that a work of a fan has impressed Ray so much that he decided to include only his photos in the artwork of the album. 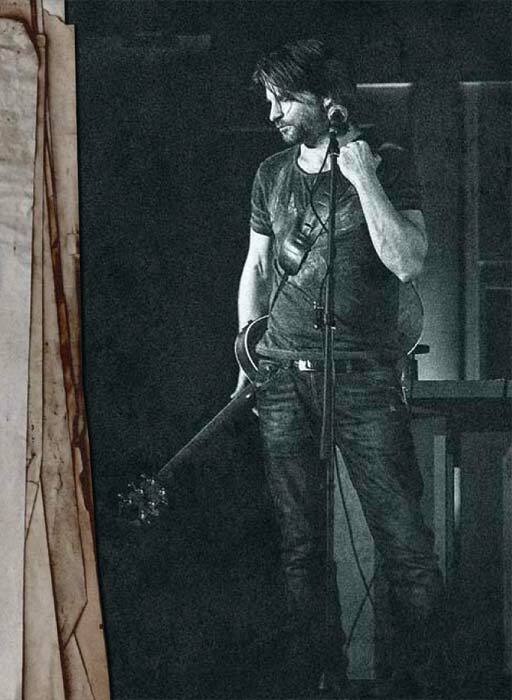 Another photo by Christian Baltrusch became the now well knows Ray Wilson logo you can find on his merchandise. You can see more of Christian's work on his website. Musically, Ray is chasing his rainbows with nearly the same musicians who joined him unfulfilled in 2011. Ali Ferguson plays all sorts of guitars and sings a bit, keyboards are played by Darek Tarczewski, who is not really a new face anymore, but he has replaced Filip Walcerz since the last album. Ashley and Larwie MacMillan are the core of the Scottish rhythm section, supported by Steve Wilson on acoustic guitars and backing Vocals. Ray has also classical elements on this record - Barbara Szelagiewicz, Alicja Chrzaszcz (Violins), Sebastian Schlecht (Viola) and Philipp Timm on Cello. The new guy and responsible for one of the biggest surprises is saxophonist Marcin Kajper (see photo). Besides that, Marie-Claire Schlameus plays Cello on a track called The Life Of Someone and Mara Simpson sings with Ray on Whatever Happened, even though it's more in the background. On his last album, Ray introduced some string arrangements which was a brand new element in his production. With Chasing Rainbows, he doesn't go quite that far again, but it's more or less the same direction. One listens to the opener Take It Slow and it immediately has this refreshing but melancholic Ray to it. Sometimes you think this may be a settled-down version of Fly High, but Take It Slow is far more than that. It has a mystic touch... this yearning, despair, a little Pink Floyd, a little prog ... and a really expressive Ray Wilson. All instruments sound really clear and matched up perfectly, the guitars especially on Take It Slow are brilliant. Then, suddenly and completely unexpected, a saxophone appears. That also is an ingenious moment, just because it fits perfectly well. This is a marvellous start for the album, even though the song might produce this "wait a minute" feeling at first. You keep on listening and after four of five songs you just want to go back to it to hear this landmark again to discover its quality completely. Take It Slow is without any doubts one of the strongest tracks Ray has ever recorded. He has set the bar very high with this one. A lot more straight forward and upbeat is the first single of the album, Easier That Way. It has a rather weird production, in a positive sense. The song is good, goes straight to your ears and remains there. After listening to the complete album, you may probably choose another song as first single but in the end it has to be one of the songs and the decision has to be made and it's for sure comprehensible one. We were discussing Follow The Lie above already a bit and that song goes more or less back to atmosphere of the opener. Again, the saxophone has an integral part in the song. 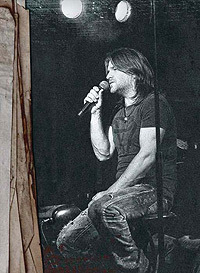 In Follow The Lie, especially the verses are enjoyable as Ray sings them in his "spoken" style, as he sometimes does on songs. Ray keeps the high level he has set with the opener. The fourth song is a little curiosity. Well-informed Ray Wilson fans may know that the American version of the very first Stiltskin album The Mind's Eye contained a track called Shouting In My Sleep (it was released in Europe also, but only as a Single-B-side). And that fourth song here on Chasing Rainbows is also called Shouting In My Sleep, but it has absolutely nothing to do with the rather weak track from 1994. Shouting In My Sleep is a first class pop song, a really catchy tune. Ray gets a little lighter on the album with that song, but it has real hit qualities and can be characterized as a symbiosis of the Propaganda Man and Unfulfillment atmosphere. Wait For Better Days could be described as a power ballad, it has for sure elements from the She-Album, but there is also a lot of Unfulfillment in there. In Wait For Better Days strings, piano and guitars create an excellent area of tension, while the song is defined by a decent drum sound and an outstanding melody. The intensity increases extremely during the chorus and Ray shows a remarkable singing here - it will be really exciting to see how he sings that live, in case the track will be performed. After the second verse there's a nice sax-solo again, with strings and piano in the background, before the song continues with drums and electric guitars - perfect! Wait For Better Days is simply top-notch and belongs among the best songs on Chasing Rainbows. Rhianne is a very interesting tune. Slightly twirled guitar sounds produces something like a little uptempo intro of Shine On You Crazy Diamond, then a yearning, sad voice. That has a lot of Pink Floyd in it and suddenly it's not Ray, but Ali Ferguson who sings (Ali has also released a solo album two years ago, a review is available here). Rays himself sings in the last third of the song only. It's an interesting experiment and it comes off perfectly. On the other hand it would really be interesting to hear the track without any drums, some sort of Late Nite mix. A little slower version could also unfold even more atmosphere. After Rhianne, the album has an unplugged intermezzo - She's A Queen is, if you like, a homage to the Change-era. It has a lot of unplugged / acoustic feel, with the addition of the string arrangements, which are typical for Ray these days. The song is okay, but based on the tracks we've heard so far it can’t keep the same level and may be the relaxing moment on the record. I See It All sounds like a continuation of She Don't Feel So Loved. There's no dominant piano, at least not in the first part of the song, here you have more dominant string arrangemens. There is a again this tension between strings and guitars, and towards the end the piano also finds its role, that sounds a little bit Tale From A Small Town. The song also has a quite lively finale. It's a solid one, but due to a quite similar production compared to the above mentioned song it's not really a key track. The Life of Someone has an interesting song structure and an unusual instrumentation. The drums during the chorus sound a bit out of phase and the acoustic elements are getting disturbed by electric sounds. That all is quite interesting, yet the song is a bit too complicated since it lacks a really good melody. "Chasing Rainbows ... no surprises" sings Ray on Follow The Lie. Well, some of it really sounds familiar, especially his voice is a continuity throughout the album. But Ray can suprise on that one, especially with the fine saxophone-moments by Marcin Kajper. He hasn't recorded the american Tom Petty album he once predicted, but maybe it's not too bad that it didn't happen that way. Ray and Peter Hoff have written the songs rather quickly and recorded the demos, before the recording sessions started last August. The production is forming a unity and integrated whole. There are a few exotics on the record Easier That Way as an example sounds a bit different as it has adifferent atmosphere. Then you have the acoustic corner with She's A Queen and Whatever Happened. The other songs on the record build a strong unity of sound and atmosphere, even though you could argue that I See It All and She Don't Feel So Loved have some kind of mutual dispensability. In other words: It may have been better to have a different arrangement on one of the two songs. Rhianne is also a secret stranger - probably due to Ali's singing, but it suits the album's feel perfectly. But besides that, the album has enough power, quality and potential and can be very interesting for new listeners and non-Wilson fans. Once more, Ray has produced a strong album and Chasing Rainbows will hopefully take Ray to the next level. It became a little tradition that you can be sure Ray will introduce new elements to his new albums and they develop well regarding its qualities. That's a fine thing, you can be sure his music will stay interesting and innovative and from the commercial point of views Ray deserves better days anyway. 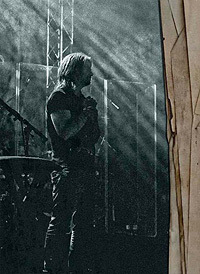 Package with live 2CD/DVD and new Stiltskin album. Available also as MP3 album. Rerelease of the original soundtrack plus some extra tracks. Due 15th April 2013.